Fall is here and in full effect! The days are shorter and the evenings are colder, but there is still bountiful produce in season. While the garden is bursting with vibrant colors and flavors, this is a great time of year to introduce a new variety of nutritious fruits and vegetables. Succulent apples and fragrant pears are a good source of soluble fiber and potassium and both are delicious in sweet and savory dishes. Broccoli and cabbage are excellent sources of calcium, and cauliflower is chalk full of vitamin C, vitamin K, folate and fiber. 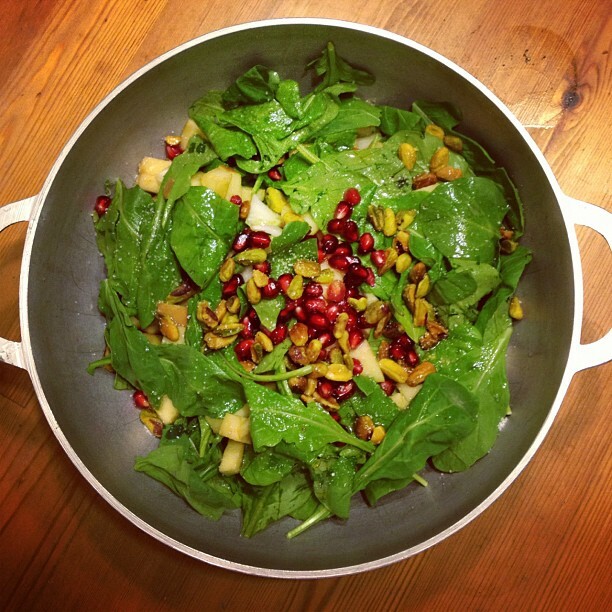 There are so many ways to incorporate fall’s fine produce into your meals. Here is a quick and delicious recipe that was a total hit with the kids to get you started! 1. Wash and dry all fresh ingredients. 2. Slice apples, then slice fennel as thinly as possible. 3. Extract seeds from the pomegranate. 5. Mix all ingredients in a bowl, add olive oil and season with lime juice, salt and pepper. Check out our latest blog post and learn a new recipe!